dull roar: Knitter's Math.... if a 6th grader can do it, so can you. Knitter's Math.... if a 6th grader can do it, so can you. Today, we are going to learn to use our brains. Too many knitters, it seems, are happy to follow designers' words as law and then become frustrated when their projects aren't quite right. This is bad. I know that actually thinking through things takes a little more time and a little more electrical stimulation of nerves, but it's worth it. I promise. 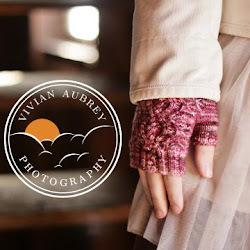 When you read most patterns, what the designer is really saying is "I used THIS yarn and THESE needles and got THIS gauge and made a thing that fits THIS person" (usually the designer). Sometimes they've done some math in order to offer up some different sizes, sometimes they haven't (and even if they have it doesn't hurt to double check.) In theory, if you used the exact same yarn and needles and got the exact same gauge, you would get a product that is the same size as the designer's. But not very many people DO that. People substitute yarns. They use different fibers, with different stretch and drape. They use different brands of needle. And perhaps most importantly, they have different gauges. So I'm going to walk you through some common issues and tell you how to fix 'em. There is math involved. But it's math that you did in like, 7th grade, and I have faith that you can do it now. I bet your cell phone even has a calculator in it somewhere. Waaaaah! I'm using the same needles and the same yarn, but I'm getting a different gauge! Thank you for actually stopping to check your gauge. You're miles ahead of the "gauge is for wussies" people. You've got a few options here. The easiest is to change your yarn or needle size until you get the right gauge. Since you probably already dropped a bunch of money on the yarn, you'll probably want to tinker with needle sizes. If you're getting too many stitches to the inch (so, say, 9 instead of the 7 you're supposed to get) you're going to want to use bigger needles. If you're not getting enough stitches to the inch, you'll want to use smaller ones. If you don't have an extensive collection of needles at home and don't feel like running out to buy a bunch of them (needles usually aren't returnable), see if your yarn shop will let you swatch in the store before you buy. Otherwise maybe you can borrow a few pairs. Eventually, inevitibly, you'll collect so many needles that this won't be a problem. If, once you reach gauge, you're getting a fabric that is either too loose or too stiff to be enjoyable, that means you probably aren't using an ideal yarn for the job. You can either abandon ship and get another yarn, or you can rework the numbers. To do that, first tinker around with needle sizes until you get a swatch that you like the feel of, and then take it's gauge. Now, cross multiplication happens. The question mark can fall anywhere. In this case, you take A, multiply it by D, and then divide by C.
In this case, you multiply C by B, then divide by D. You're always dividing by the one diagonal to the ? So you multiply 100 x 3 (hint: it's 300) and divide by 5 to get 60. Casting on 60 stitches will get you a hunk of fabric that's about the same width as the designer's 100 stitches. The fabric will be a bit thicker, so if you're trying to get it around a head or arm, you might want to work a few rows and try it on before continuing. You might have to add a stitch or two to loosen it up. You can do the same thing for row gauge, though god help you if you decide to significantly change the gauge in a project where row gauge actually MATTERS. In most cases, you can just knit to X inches and call it a day. Noooo! I got the right gauge, but my project is too big/small for me! If you're making something like a sweater, there's a good chance you'll be given a lot of sizes, but in the case of one-size-fits-all type things like hats or mittens or socks, which only sometimes have multiple sizes, it's a good idea to check your own measurements against the measurements of the designer. Sometimes the designer will say something like "fits a 8 inch wrist", in which case you can straight up compare to your own wrist size. Sometimes it'll say something more like "this hat measures 20 inches around" which is a little more confusing, because it's nice to have a little bit of negative ease on a hat, which means that 20 inch hat probably fits a slightly bigger-than-20-inch head. Sometimes, a designer will not mention either of these things, in which case you can probably email and ask 'em. I'm guilty of this, I know. For the record, my head is 22 inches around. Pretty average for a woman. Also, hats stretch, so that gives you quite a bit of leeway. But let's say, just for the heck of it, that you want to make a floopy hat for a guy with a big head, say 26 inches. 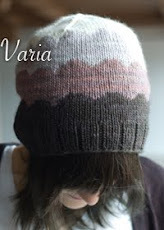 You're getting the right gauge with your yarn and needles, but you know you need the hat to be bigger. Since you will be doing 1x1 rib, you want an even number, so maybe just do 82. Now, knowing the cast on number you want isn't going to help when you get to the decreasing (or any other shaping), but that's a blog post for another day. (40x4)/7 = 22.8! So round up to 23, unless you need an even number for ribbing or something, in which case do 22. Alright, I'll pick this up another time, 'cause this is getting kind of long. It's pretty much the same principle of cross-multiplication over and over, but I'll try to spell it out and give you model equations for as many situations as I can dream up. Huzzah! I like to think I'm smart, but you are far smarter. Thank you so much for laying all this out. Cross-multiplying never occurred to me, but it makes so much sense. You win at life and knitting. I love this post. When I started knitting things other thab dishcloths and scarves, I had to figure this out on my own. What did I learn? I may not be good at "reak math" but I'm pretty awesome at "knitting math". ah, what a brilliant post!! Totally necessary. thank you so much for this. i once had a post like this saved for reference but i lost it. this really comes in handy sometimes!! thanks. and i hate math, but sometimes it is necessary. Dudefriends can have such big heads. Awesome, thanks for the info. I've always wanted to know how to change patterns and this is a great start! oh, you and your smarts in your brains!